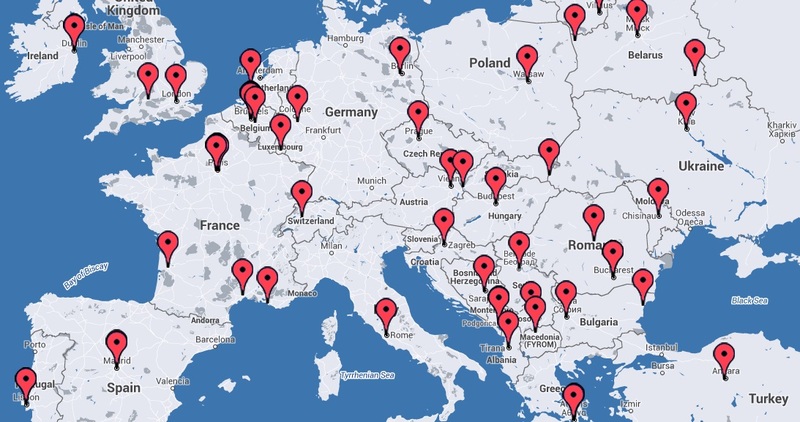 National Contact Points are individuals and institutions nominated (and funded) by their governments to serve as consultants for European Research Funding programs, currently under “Horizon 2020” (2014 -2020). NCPs are nominated for all different thematic sections of Horizon 2020. Their services are free of charge to the applicants. Usually, when looking for help, an applicant will approach the NCP located in the country of residence. Of course, applicants are free to contact NCPs in other countries as well, e.g., should they have questions related to the (research) community in other countries. Due to the very broad thematic scope of European funding programmes for Research and Innovation (R&I), NCPs are nominated for all different thematic sections of Horizon 2020 (and other European programmes). Each pillar of Horizon and each Societal Challenge are covered by a thematic, specialized group of NCPs, providing high quality services to applicants. 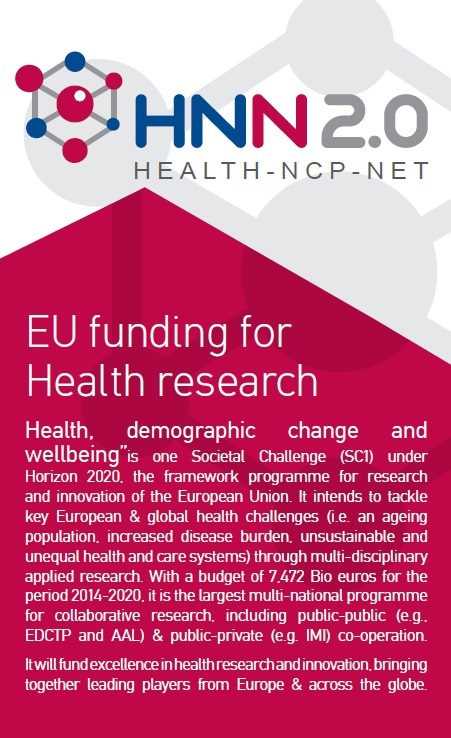 Health NCPs are responsible for providing information and consultancy service to applicants interested in European funding of Health research and innovation activities. As part of a quality management, Health NCPs are constantly trained and sharing best practice, one important means is the Health NCP Network (HNN 2.0). Furthermore, there are several NCPs covering more horizontal aspects, e.g., the NCP for Legal & Finance issues, or the NCP for the new SME instrument (“SME & Access to Risk Finance”). Number and service portfolio of NCPs may differ between countries; please contact your NCP to find out how they can help you.